" This is one of the ways to involve community participation in integrated transportation"
Along with PT Transportasi Jakarta (Transjakarta) Indonesian Graphic Design Association (ADGI), the Jakarta Provincial Government is about to hold a public transportation integration logo design competition in Jakarta, Jak Lingko. 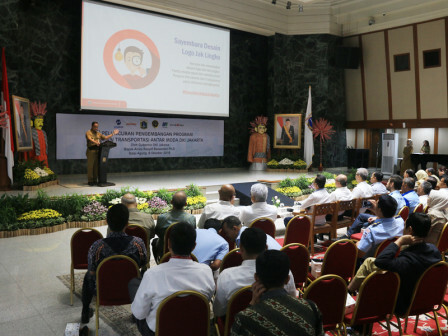 "This is one of the ways to involve community participation in integrated transportation," expressed Budi Kaliwono, President Director of PT Transjakarta, Monday (10/8). During the competition, people can still use the old card, which is OK OTrip. Jakarta Governor, Anies Baswedan wants people to be able to convey the design idea of Jak Lingko logo. For more information about the logo competition, it will be informed via social media belongs to Jakarta Provincial Government and PT Transjakarta. "Hopefully there will be a design choice by the end of this month ," he hoped.